There’s no question that when it comes to local search, Google is the search engine to be on. Google controls around 70 percent of all searches and ranking first on Google can elevate your business to new heights. 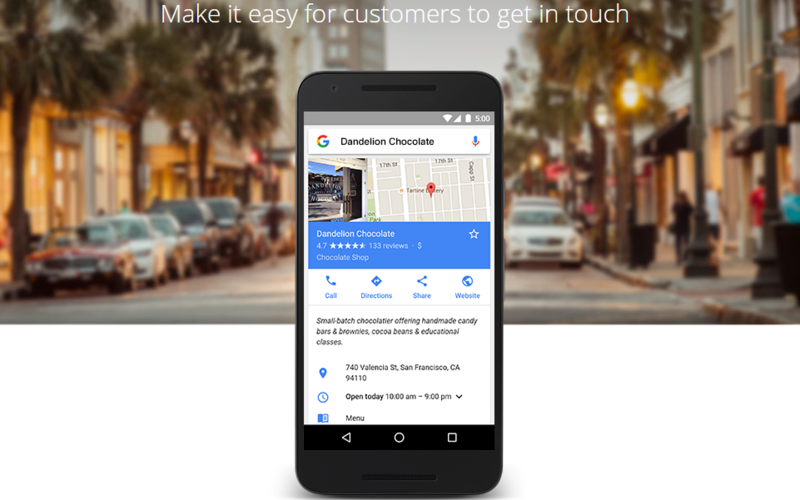 Google local business can help your business appear in search results. Google has made several changes to local search over the past few months and it’s harder to rank in Google’s 3 pack. Before Google local business changed, you would have saw that 8 local businesses would appear in search results. Since the local search redesign, only 3 websites now appear. Due to this, local businesses have to follow local search protocol. 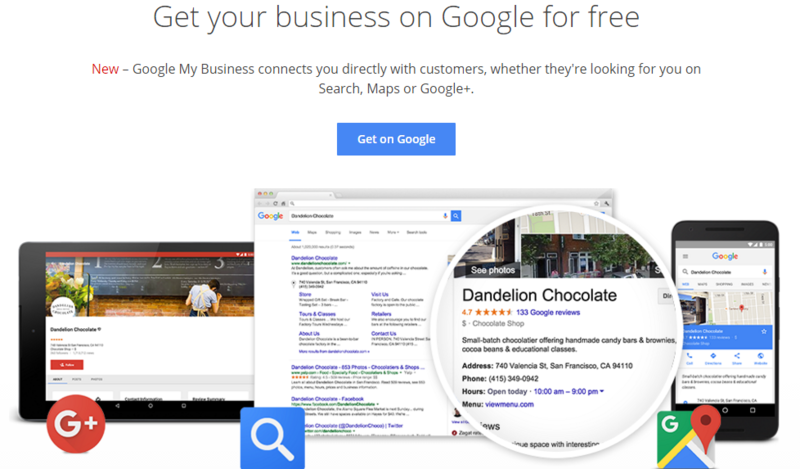 Now known as Google My Business, this Google feature has a wide range of benefits. Through Google My Business, you will need to get your business verified. It’s simple to do though, all you have to do is this. When you get the postcard, enter the code to verify your business listing. If you own a small business and operate in a local market, you will need to know local SEO. If you don’t, you can learn or contact a local SEO expert. Local SEO uses specific strategies and techniques to improve your local keyword rankings. I’m referring to the local keywords you compete for with other local companies. In a lot of ways, local SEO doesn’t differ much from traditional SEO strategies. It’s critical to know what SEO factors Google looks for. If you’re a local small business, digital marketing needs to be in place. This refers to anything that you do online. It’s one thing to get users to your website. It’s another getting users to convert or take action. Let’s look at what digital marketing strategies you should be using. Content marketing is extremely effective for a number of different reasons. For one, content allows you to showcase your talent and skills. Being a thought leader in your niche is a critical level you want to achieve. Don’t focus on quantity of content, but rather quality. Make sure all of your content serves a purpose. Social media marketing has become one of the best ways to reach a local audience. Nearly everyone in the world has a some type of social media account. Look at Facebook, over 1.5 billion registered users. 7 billion people in the world, Facebook is the holy grail. You have a wide range of social platforms you can use, Twitter, Pinterest, LinkedIn, Instagram and many more. The key is learning how to use social media to build your local business. The keyword Facebook is searched for 414,000,000 on average each month. Facebook has new features in 2016 and continues to provide more tools for small business owners. I don’t care what niche or market you’re in, get started with Facebook. Other social media platforms need to be evaluated to see if your business can use them. If you don’t have the man power to truly invest the time needed to grow your social platforms, it would be better just to focus on Facebook. When it comes to converting customers, email marketing is one of the best methods and techniques you can use. The goal to email marketing is getting customers to sign up for your email list. We use widgets, popups, locked content and a wide variety of ways to get someone to sign up for our email list. Once you have a name and email, you can go to work. When you’re building your email list, you need to give those who sign up value. This could be one of many things. When you start building your email list, you’ll be able to send targeted emails to everyone who joined our list. Even at the local business level, email marketing is still important. Video marketing is highly effective. Customers connect with visual components much better than plain content, text content. If you have the basic video editing skills, you can make professional videos. Videos can be hosted on YouTube or Vimeo. Video is considered content in “web terms.” We use video in SEO the same way, optimizing videos by targeted a specific keyword. You can use video for anything, for advertising, training or how-to related. You can embed these videos on your website. You can include your landing pages in the description. You can target a keyword with content and video, adding them to the same article. Press releases are still a great way to grow your local business. You may find that you have local press release services or you can contact an expert PR. Even if you only target a local audience, national press releases can give your local business much needed attention. Not to mention all the SEO perks you can get from backlinks. While press releases can be expensive for the budget of a small business, if you use the right services, it can have both short-term and long-term benefits. Now, there’s nothing wrong with traditional marketing. To be honest, you better be doing it. Newspaper ads, local television roles, coupon ads, banners ads, business cards, you’ll still need to invest in your business. Depending on your niche and market, you may have a lot of traditional marketing tools to use or you may have very few. The fewer resources you have, the more you should be focusing on local marketing. When you’re able to combine digital marketing and traditional marketing, you stand a higher chance of reaching more customers and growing your business. Make no mistake, a local business can never have enough marketing and advertising. The more reach you have, the more opportunities to get more customers. Google Local Business is much more than a simple business listing, it’s a foundation that your business will need to succeed in Google. Every business has to earn the trust of Google and Google Local Business is the first step. At Hale Associations, we help local businesses grow customers. While we can directly help your local business with digital marketing and local SEO services, we can also help you plan your traditional marketing strategies.